Today, more than ever, most consumers are looking for an affordable solution to hair loss. Unfortunately, many physicians will try to make you believe that if you are paying more you are getting better results. This is certainly not true in the field of hair transplantation. Taking the time to research the doctor’s qualifications can help you make an informed decision. The most important factor to a good outcome is the experience of the physician. Find out how many procedures he or she has actually performed and make sure you see a surgical hair transplant during your consultation. An affordable hair transplant should only be performed by a qualified surgeon who has spent many years perfecting his craft. Many hair restoration clinics will offer flexible payment plans so that you can have your hair now without the stress of coming up with all of the money at once. So don’t be fooled by fancy offices with empty waiting rooms or doctors that will sell you unproven treatments for your hair loss. Experience and an affordable price can go hand in hand providing you with the best solution to your hair loss. 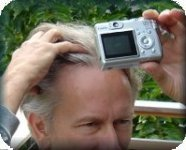 This entry was posted in Hair Transplant on November 10, 2009 by Larry Shapiro.